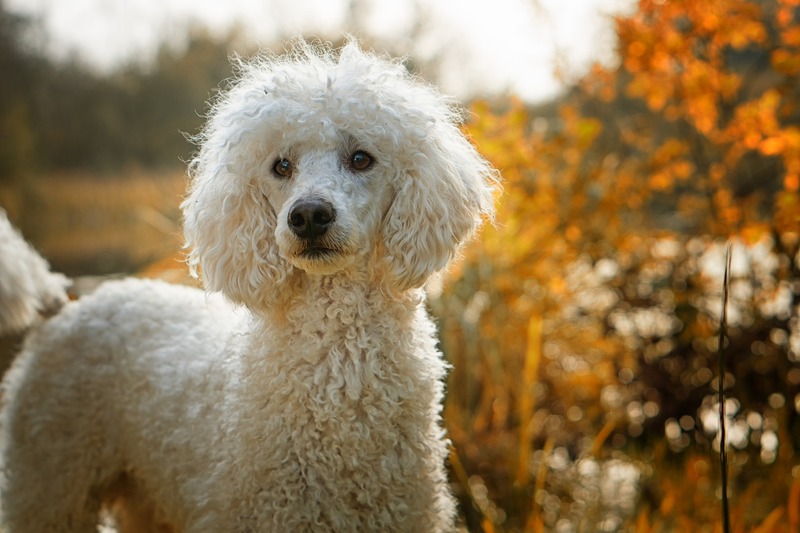 If you are considering adopting a Poodle, or just want to know more about them, we’ve compiled all the information you might need to make informed decisions regarding their care. We’ve included details about this breed’s physical characteristics, activity needs, grooming tips, nutrition, and more. At the bottom of this guide, check out our comprehensive list of all the health conditions we test for here at Embark, as well as recommendations for treatable diseases from our veterinarians. According to the American Kennel Club (AKC), Poodles are eager, athletic, and wickedly smart pups of remarkable versatility. They also have an amazing ability to learn, and they might just surprise you with their desire to complete tasks, as well as their innate intelligence. Known for both this exceptional intellect, as well as their friendly and active nature, Poodles make very sweet-natured companions. These pups are happiest when they feel included in day-to-day activities. According to Petful.com, Poodles are prone to separation anxiety. If you’re headed to the beach, watching movies on the couch, or stepping out for a run, your doggo will be eager to join you. You can adopt a Poodle from an animal shelter or find a breeder. It’s important to look for breeders that can provide detailed health records for their puppies (and parents!) as well as genetic testing for health conditions. Despite their French reputation, Poodles hail from Germany, where they were called pudel, which is German for “puddle.” This relates to their love for splashing about in water, the AKC reported. Unlike dogs that shed, the Poodle will grow fur continuously, according to VetStreet. Elvis Presley loved dogs, and he lived with quite a few Poodles at Graceland, MentalFloss reported. According to PawedIn, one special Poodle named Nala presents an awe-inspiring story of intelligence among this breed. Although never trained to operate an elevator, Nala somehow figured it out on her own and uses it to visit the residents at a local nursing home. 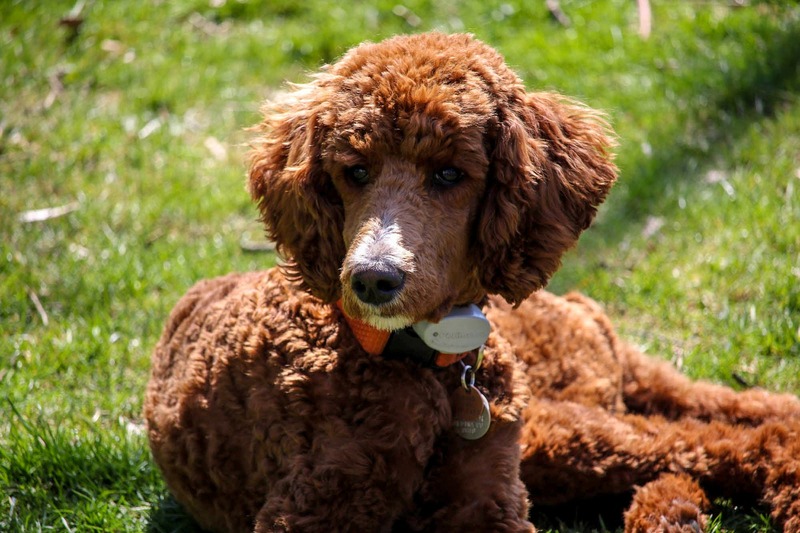 The Standard Poodle, Toy Poodle, and Miniature Poodle are all recognized by the AKC. Types are allowed to interbreed. According to the website Teacup Dog Daily, the Standard Poodle is the largest type. These pups are extremely athletic, a trait that is evident in their graceful and proud appearance. The lifespan of the Standard Poodle is around 12 years, their height is 18 – 24 inches and their weight can range between 45 – 70 pounds. The Miniature Poodle is right in the middle; the lifespan of these pups is around 15 years, their height is 11 – 14 inches, and their weight ranges from 12 – 20 pounds. The Toy Poodle has a similar coat to the Standard Poodle and normally stands at about 22 inches. Their weight can range between 4-10 pounds. Your dog’s first week at home should be quiet and comfortable. Your pup might adjust more quickly with a consistent routine beginning on their first day with you. Give your new family member ample time to become familiar with their new surroundings. They will need to become acquainted with both you and their new digs (there are so many different smells!). If your new pup is younger than 3 or 4, be sure to take some extra precautions by keeping electrical wires, household plants, and other easily-accessed items out of their reach. Have you thought of their new name? We understand that picking a name for your pup can be a challenging task; there are so many to choose from! Once you’ve landed on the right one, repetition is definitely key. Check out our list of the most popular dog names of 2018 if you are in need of some ideas! Give particular attention to portion size when feeding your Poodle. According to All Poodle.com, the exact age of a furry friend, his or her health status, activity level, and individual metabolism are all factors in regards to how much your pup needs to eat. The best thing you can do for your Poodle when it comes to diet is to talk to your veterinarian about a meal plan. 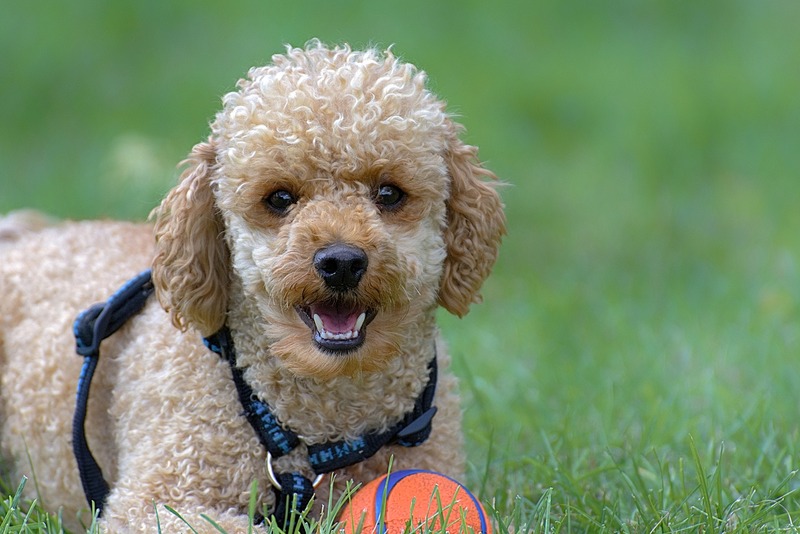 Poodles are highly active and require plenty of exercise. According to the website All Poodle Info, when a dog is exercised on a regular basis, it increases blood circulation, helps maintain proper muscle tone, and can help slow the development of arthritis. Most Poodles enjoy a variety of activities, including, but not limited to, catch, follow the leader, and hide and seek. 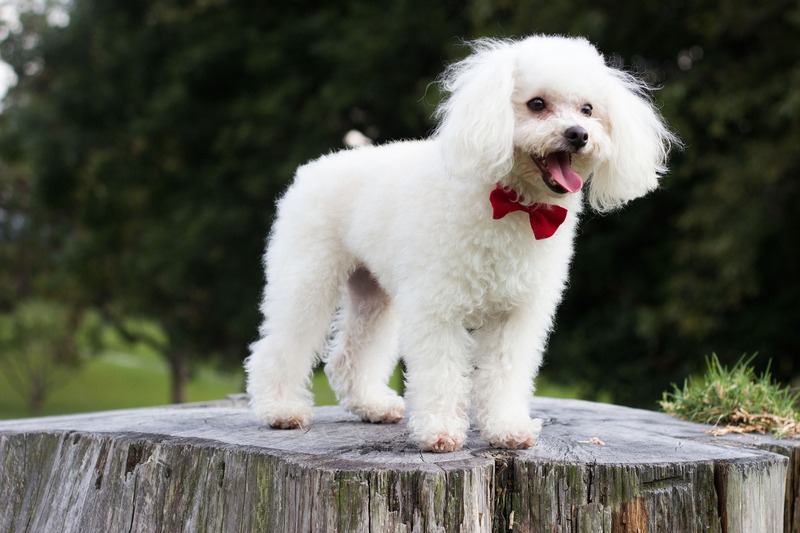 According to Vetstreet.com, Poodles can be easy to maintain, but be sure to give particular attention to their coat. These pups require grooming every 4 to 6 weeks. Some Poodle owners learn to use clippers and do the job themselves, but most rely on professionals. Either way, this aspect of their grooming is essential. Without regular clipping, it could become matted and cause painful skin infections at the roots. Your pups nails will also require regular trimming if they are not worn down naturally through outside play and regular activity. Your senior Poodle will likely maintain great health when given the correct care by you and your vet. Regardless, they might experience several changes in their health, behavior, and abilities as they age. Some of these changes could include altered vision and hearing loss, changes to their coat, increased separation anxiety, sensitivity, and longer periods of sleep. Getting your pup tested with Embark will arm you with the information you need to ensure your dog is healthy for longer, while potentially avoiding preventable diseases. We hope that this guide helps you with your Poodle and that you remain happy together for years to come! However, we also know that the only bad part of having a pup means you have to lose them someday. If you are grieving and in need of a resource, click here for a relevant blog post.